A range of practical, low-cost hatches, casual city motors and tough-looking SUVs provides drivers with lots of choice when shopping for quality second-hand cars. Hundreds of people in Carlisle have found their perfect second-hand car at Border City Autos Limited, and with a broad range of used cars for sale from fast-selling names, we?re confident that you will too. 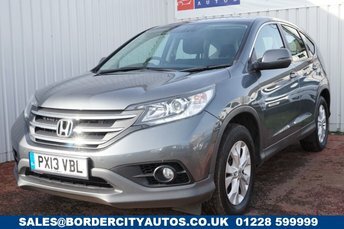 One of the most dominating brands in our stock is Honda, with models like the CR-V being the fastest-selling used Honda cars in Carlisle. Performance is at the very core of Honda; every vehicle the firm has manufactured offers an unparalleled capability on the roads. If you prefer unusual colour themes, Honda has many vibrant shades for you to choose from. Situated in Carlisle, Border City Autos Limited is one of the area?s most trusted second-hand car suppliers with a great deal of experience within the used motor trade. 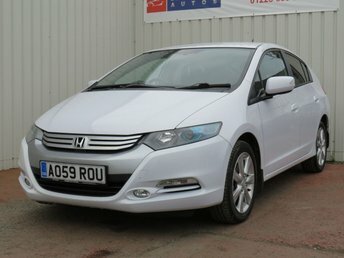 Find Border City Autos Limited on Facebook Marketplace to view our complete range of used Honda cars for sale in Carlisle.